Austin TX Ranches For Sale - Austin TX Ranches and Homes for Sale. Search over 14,000 Real Estate Listings including Austin Ranches in MLS. Photos & Videos. There are many nice ranches in Austin TX. 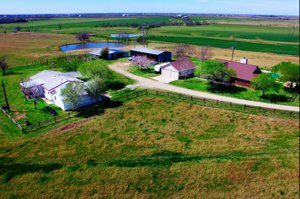 Ranches in Austin TX are great because you can live in a country setting and be close enough to Austin, Houston, and San Antonio to work in the city and earn a good income. You will find many large beautiful ranches in Austin TX and the surrounding areas to choose from. There are several Fortune 500 companies that have offices in Austin. Some of these companies are: Whole Foods Market, Samsung, Dell, General Motors, Google, IBM, Intel, eBay, Texas Instruments, 3M, Oracle Corporation, and Apple Inc. This helps Austin ranches resale prices remain stable. 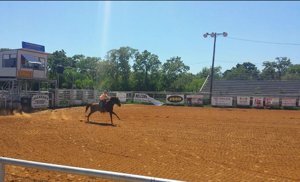 There are also many veterinary clinics in Austin for large and small animals which makes Austin TX an ideal place to own a ranch. Some of these vet clinics are: Town & Country Veterinary Hospital, Equine Veterinary Services of Central Texas, and Austin Equine Hospital. Riding clubs are popular in Austin, Texas. 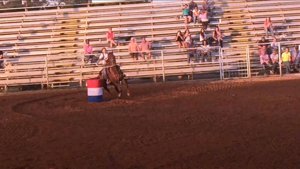 Some of the local riding clubs are: Central Texas Arabian Horse Club, Austin Dressage Unlimited, Lone Star Polocrosse, Texas Lost Pines Riding Club, etc. Rodeo Austin is held every spring at the Star of Texas Fair and Rodeo with live music, a fair, a stock show, and other special events. Austin TX, the state capital, is a community that is constantly growing. Austin is located in Travis, Hays, and Williamson Counties. As of the 2011 census, Austin has a population of about 821,000 and is getting bigger all the time. It’s the fourth most populous city in Texas and the thirteenth most populous city in the United States. For those that are looking to be close to just about everything, this is the perfect place to own a ranch in Austin TX. Austin is considered "The Live Music Capital of the World." A South by Southwest music festival is held every year. There are many musical events to attend in Austin TX. Austin has plenty of restaurants to choose from. Some of the vast choices of restaurants are: East Side King Thai Kun, Bryce Gilmore’s Barley Swine, Bufalina Due, Cooper's Old Time Pit Bar-B-Que, Vinaigrette, and Cheesecake Factory. There are also plenty of attractions if you are looking for something to do on the weekends. Examples of some outdoor fun include: Zilker Botanical Garden, Lake Austin, Lake Travis, Lady Bird Lake, Barton Springs Pool, Barton Creek, Texas Memorial Museum, Deep Eddy Pool, McKinney Falls State Park, Zilker Park, etc. Some indoor attractions include Austin Parks and Pizza with laser tag, bowling, arcade games, and even go karts. There is also the Main Event with an indoor rock climbing facility. There are places like this all throughout Austin to spend your Saturdays with some family fun! For shopping there are several malls. Some of these malls are Barton Creek Square, Hill Country Galleria, The Domain, Southwood Shopping Center, and several more. Austin TX has a few of the public school districts. These school districts are Austin Independent School District, Eanes Independent School District, and Lake Travis Independent School District. There are several choices of colleges in Austin. These colleges include, but are not limited to, the University of Texas at Austin, Austin Community College District, St. Edward's University, Concordia University, and Huston-Tillotson University. Thank you for visiting. Be sure to save your Austin TX ranch search, it's free.